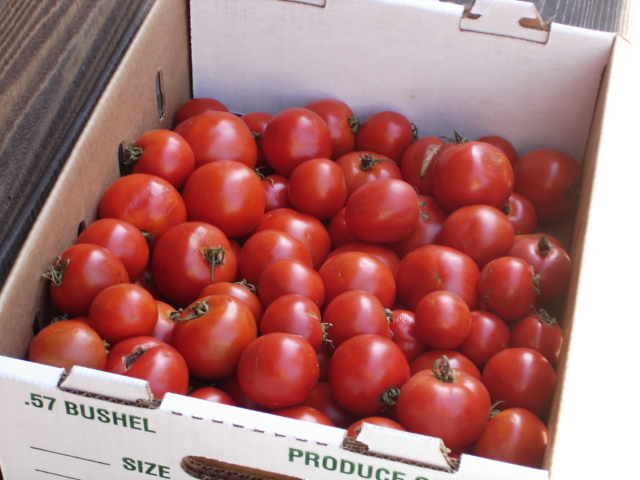 What makes these tomatoes special is the way that they’re grown. They’re cultivated in soil that has a lot of clay, and this allows it to retain a lot of water. The tomatoes are never (or very infrequently) irrigated — so their water is drawn up from what’s already stored in the soil, bringing up a lot of minerals in the process. And voila — incredible tomato-y flavor. I don’t even like tomatoes that much and I love these guys! Since it was my first shift, I was paid in produce. A pretty good deal if you ask me. 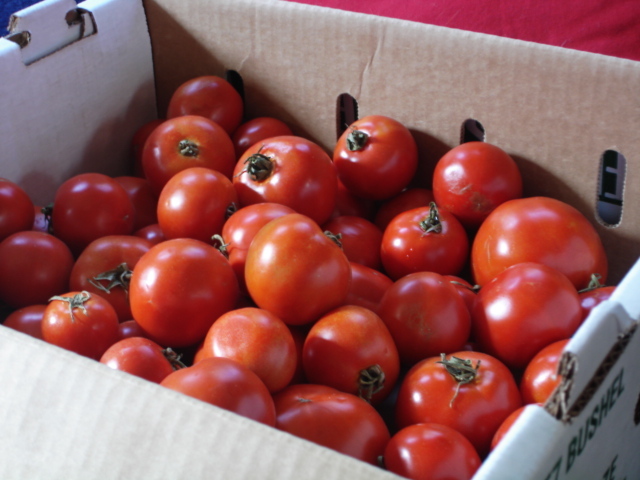 I came back with three giant Italian torpedo onions, three purple bell peppers, a bunch of green beans, two heads of cabbage… and about 12 pounds of these incredible tomatoes. Now, however, I face the dilemma of dealing with said tomatoes.